The Go To operation makes it easy to jump to a specific resource in the navigation views. Select one of the navigation views. Its title bar will be highlighted (according to the operating system's color scheme). 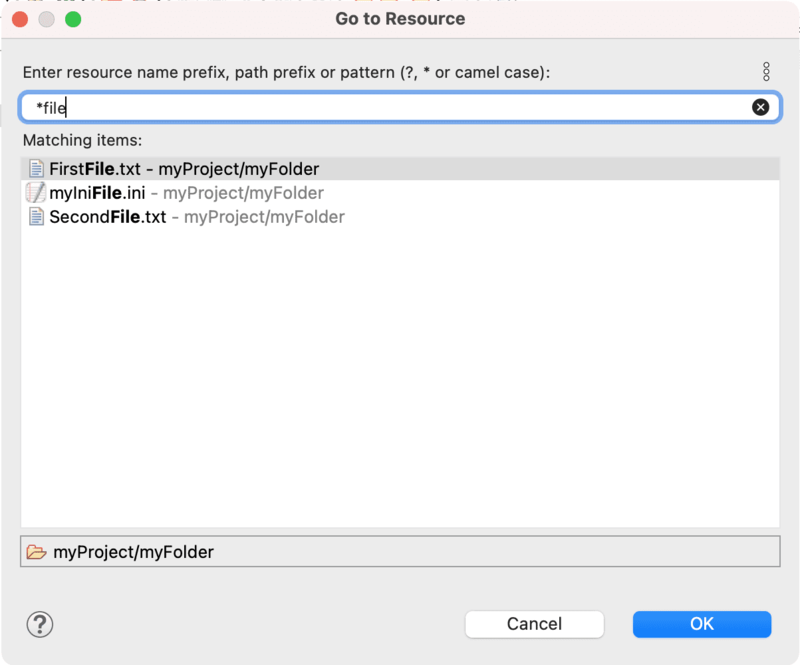 In the Go To Resource dialog type "JanesF" into the pattern field at the top of the dialog. As the filename is typed, the dialog filters the set of possible matches based on what has been entered so far. Select JanesFile.txt from the Matching items field and click OK or simply press Enter. The navigation view will select the file JanesFile.txt.